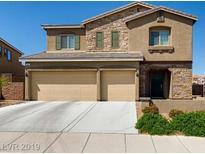 Below you can view all the homes for sale in the Whitney Mesa Estates subdivision located in Henderson Nevada. 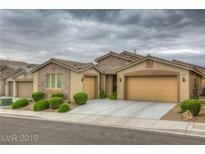 Listings in Whitney Mesa Estates are updated daily from data we receive from the Las Vegas multiple listing service. To learn more about any of these homes or to receive custom notifications when a new property is listed for sale in Whitney Mesa Estates, give us a call at 702-323-5903. This Special Home Features 4 Bedrooms*3 Bathrooms *3 Car Garage* Huge Kitchen With Giant Island, Pull Out Drawers & Built In Stainless Steel Appliances* Wonderful Family Room That's Wired For Surround Sound & Built In Entertainment Center* A Separate Master With An En Suite, LARGE Master Closet & Built In Office*4th Bedroom Has It's Own Bath* Quartz Bathroom Counter Tops*Peaceful Water Fall & River Rock Backyard*4 Inch Baseboards*Indoor Laundry. MLS#2088805. Signature Real Estate Group. 3 car garage. This house won’t last, hurry! MLS#2087354. Keller Williams Southern Nevada. Upgraded features include fresh interior paint. MLS#2086755. Opendoor Brokerage LLC. The beautiful pool and spa offers bluff views , while allowing room to add RV parking to the large lot. MLS#2083252. Coldwell Banker Premier. Owner to lease back until May 31st, 2019 after closing. MLS#2082592. LIFE Realty. This 4 bedroom 3 bath home comes with a 3 car garage also features a small loft upstairs & a great room downstairs. Must see! ! MLS#2077723. Keller Williams Market Place. No Homes directly in back & Minutes from shopping & Dining MLS#2071835. Wardley Real Estate.